From these eggs slips a whole world: Hatchimals CollEGGtibles! Who is in it? Just rub the egg until the color of the heart changes, breaking the shell and a cute little animal sees the light of the world. 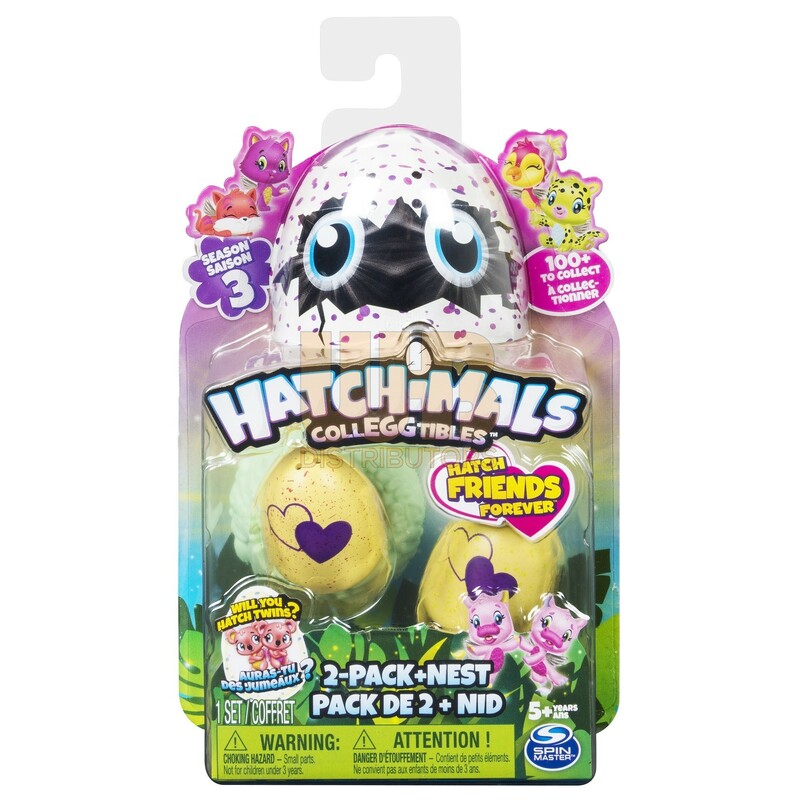 Season 3 with more than 70 characters is all about friendship - with friends that belong together and twins who are in the same egg! To play and collect! 2 figures in the egg, plus 1 nest, 1 group overview card. From 5 years. Sorted.